Morphine Interactions: Is It Safe To Take With Other Drugs? Morphine is an opiate pain medication that acts on the central nervous system to depress it and decrease sensations of pain. Doctors use the medication to treat both acute and chronic pain. The drug is known to have a high physical dependence liability and a moderate psychological one, which makes it easy to become addicted to, often leading to abuse. This is highly concerning as there are many morphine drug interactions, and addiction often leads to polysubstance abuse (mixing medications, street drugs, and alcohol). Even for those who are not addicted to the medication, morphine sulfate interactions are concerning as they can occur accidentally if the user is not certain what substances to avoid. As such, anyone taking the medication needs to learn about dangerous interactions and side effects of Morphine. 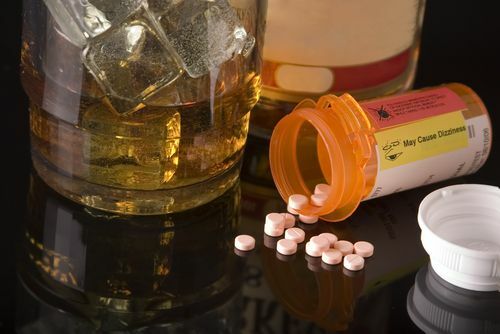 What Causes Morphine and Alcohol Use? Mixing alcohol and morphine is not caused by a single factor. In some cases, alcohol and morphine are mixed because the user is unaware that they can lead to dangerous interactions and wants to enjoy a cocktail. In other cases, the user knows the risk is there but believes that if they drink in moderation, all will be fine. And then there are cases where the user is purposefully mixing the two substances because they enjoy the way alcohol and morphine interactions make them feel. No matter why the user mixes morphine and alcohol, it has the potential to cause negative short-term and long-term side effects. As such, mixing morphine with other substances should always be avoided unless it is done at the direction of a medical professional. Mixing of two substances can lead to painful Morphine withdrawal. Short-term side effects are those that come on suddenly when morphine and alcohol are mixed and are either resolved when the substances are worked out of the system or when a major medical event occurs, such as overdose or even death. While overdose and death are a greater risk when taking morphine sulfate, they are always a risk when mixing any type of morphine with alcohol. While the short-term effects of mixing morphine and alcohol are alarming on their own, users should also consider the long-term effects, as these are what they will live with should polysubstance abuse continue. Unlike the majority of the short-term effects listed above, save for death from overdose, long-term effects of morphine drug interactions are not easy to resolve using treatment. Polysubstance—or polydrug—abuse is the term given to cases where users take two or more substances at once, usually to experience a greater Morphine high, though mixing can occur due to a lack of awareness as well. The substances mixed can be prescription drugs, street drugs, alcohol, or any combination of the three. It is important that users are aware of the risks of polydrug abuse as it contributes to the majority of overdose deaths. Mixing any two substances can cause harmful interactions, overdose, and death. However, the risk is higher for drug interactions with morphine than most other medications. This can be attributed to several factors. First of all, the exact overdose dosage of morphine is not precise as it varies depending on the formula taken and physical variables in the user, such as weight and health. Second, many substances function like morphine, meaning they depress the central nervous system; combined, they can reduce its function to the point that death occurs. Third, specific morphine formulas speed up their release when mixed with other substances, especially alcohol, turning what would have been a safe dose toxic, leading to death. Morphine sulfate drug interactions tend to be the most dangerous. How to Get Help for Polydrug Abuse? The first step in getting help for polydrug abuse is realizing that the user cannot manage the detox and rehabilitation process on their own. Detoxing from a single substance can be dangerous; when detoxing from multiple substances, the process gets trickier and riskier. Not to mention that drug abuse is nearly impossible to stop without help. The next step is reaching out for the assistance required. There are numerous rehabilitation centers throughout the country staffed by more than 3,500 certified addiction specialists, making it easy to find one nearby. With morphine, rehabilitation is generally inpatient for at least a month, if not more, before allowing the user to graduate to outpatient therapy. Not every morphine overdose occurs because of the drug being abused. 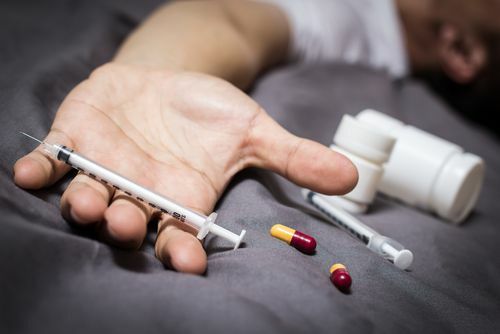 In some cases, overdose occurs purely by accident because the user mixes morphine with a contraindicated substances, not knowing that it is contraindicated. For example, can you take ibuprofen with morphine? You can, but it will reduce the analgesic effect of morphine, making it more likely the user will take more of the drug. As it ends up, there are many morphine interactions with other drugs, which range from moderate to severe. Because morphine drug interactions are so common, it is vital that users do not mix any substances, including alcohol, with the drug unless they are directed to do so by their doctor. This means they need to be honest with all healthcare providers about the medications they are taking, any other substances they regularly use, and if they are misusing any medications. While morphine sulfate interactions are the most dangerous, especially with alcohol, any form of morphine can lead to overdose and death if mixed. While education is important, if dependence plays a role in the way the user is taking the medication, rehabilitation will be needed to live a quality life. 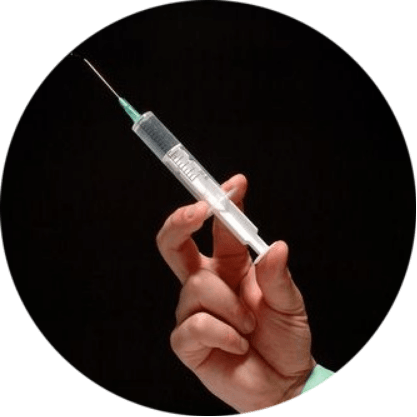 Start seeking the best Morphine addiction treatment option. If you or a loved one are struggling with morphine or polysubstance abuse, there is a path to health and freedom. With the assistance of recovery specialists, you can end your addiction and live a better life. Contact our addiction specialists at (888)-459-5511. Can you take methadone with morphine sulfate? I am also on gabepentin and adderrall? ?